Last autumn I crocheted these wrist warmers. The inspiration came from Crochet Millan blog. I used Isager Merilin yarn and the hook size is 3,5 mm. The pair took only 30 g of yarn. 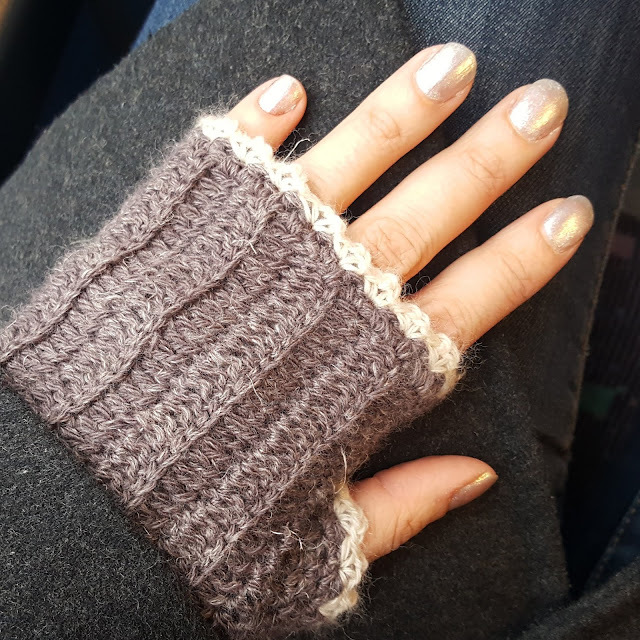 I really love these wrist warmers and they will be used again this autumn. 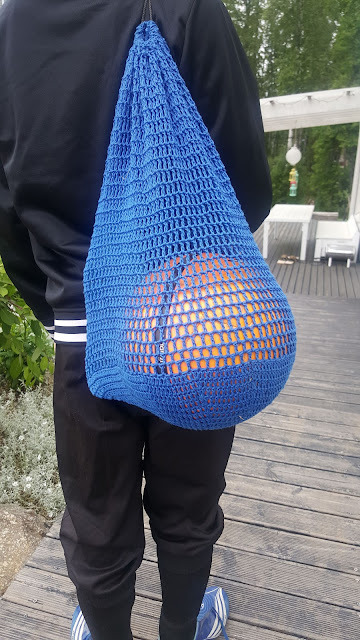 I the beginning of the summer I crocheted net bags (or French market bags) for the boys. They used those when they went to play football. The bags were surprisingly quick to make. For the blue one I used Novita Kotiväki yarn and 2.5 mm hook. For the green one I used Novita Soft Cotton yarn and 3 mm hook.